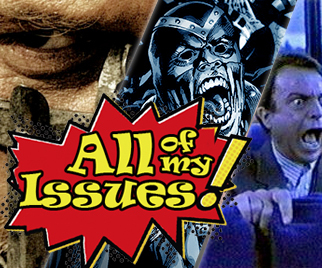 Episode 12 – Top 5 Apocalypse Scenarios from Comics and Film – All of My Issues! In this episode, episode 12, we talk about potential apocalypse scenarios. I know what you’re thinking, but the idea for this episode actually came about prior to this week’s election results. Well . . . anyway, we list our 5 worst, apocalyptic scenarios from comics and movies.